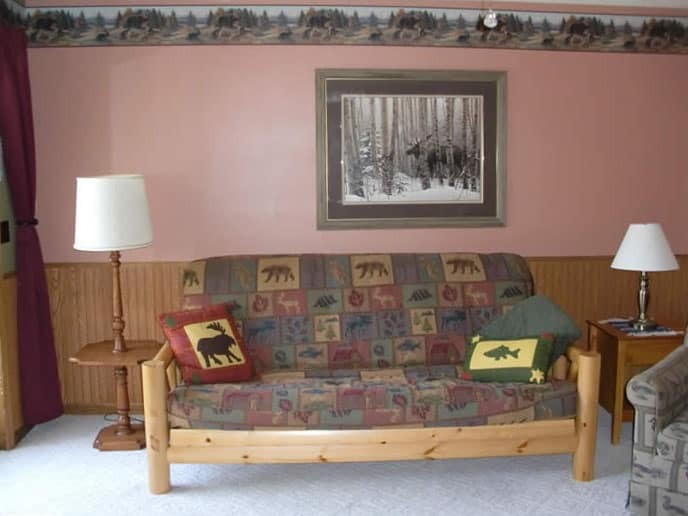 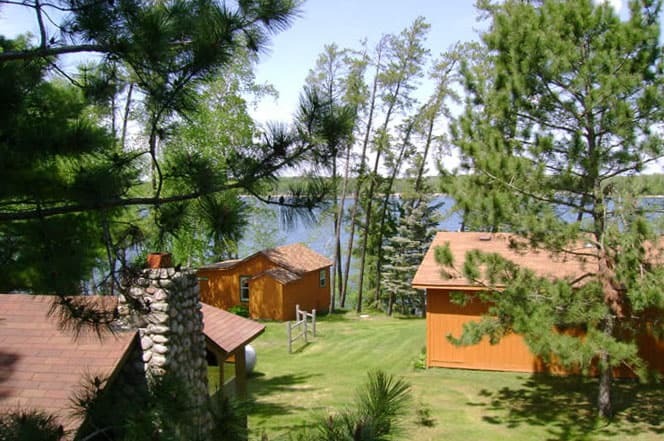 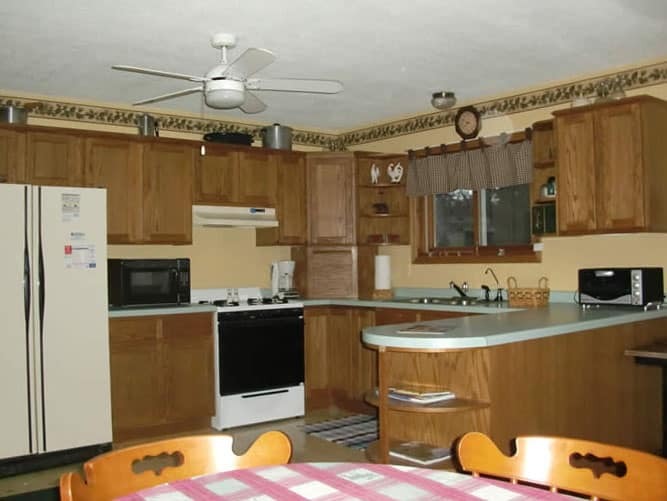 This large “lake home” unit is perfect for a family get together. It is a large unit with 2 bedrooms, 1 full bath and a half bath, a large kitchen and living room! 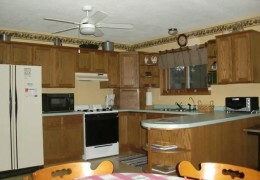 It also has a satellite TV and internet. 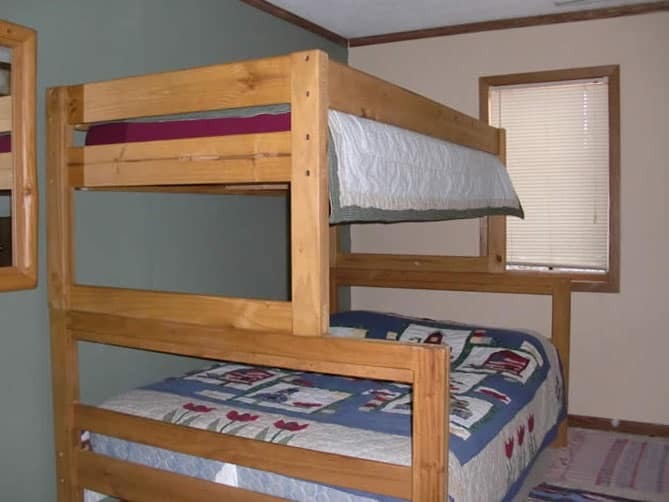 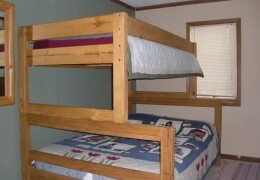 It has 1 queen bed, 1 twin bunk bed set and a double/single bunk as well as a futon in the living room (can sleep up to 9 people). 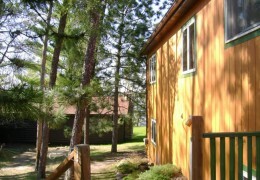 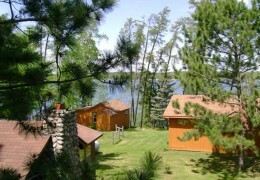 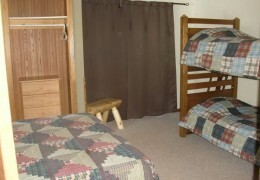 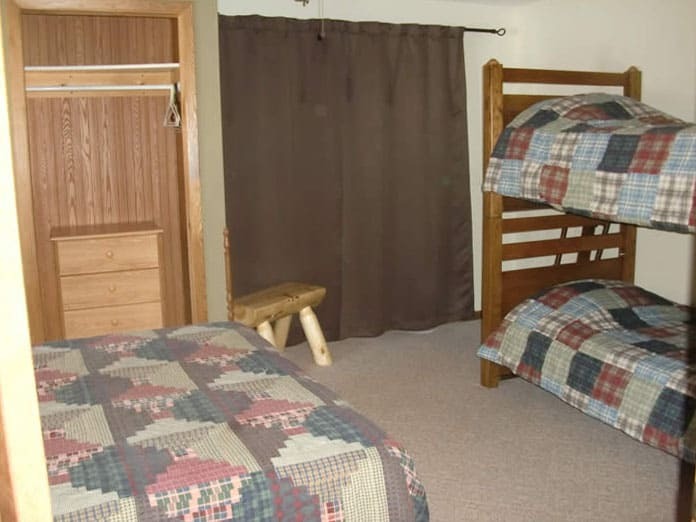 You can combine this cabin with Cabin 10 (Lake Home Side B) to make a spacious reunion cabin joined by a lock out door.